Continuous Improvement in our Products and our People. 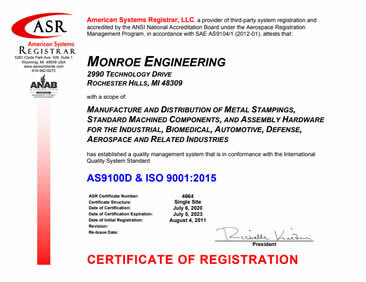 Monroe has established methods for the control and calibration of all inspection, measuring and test equipment. 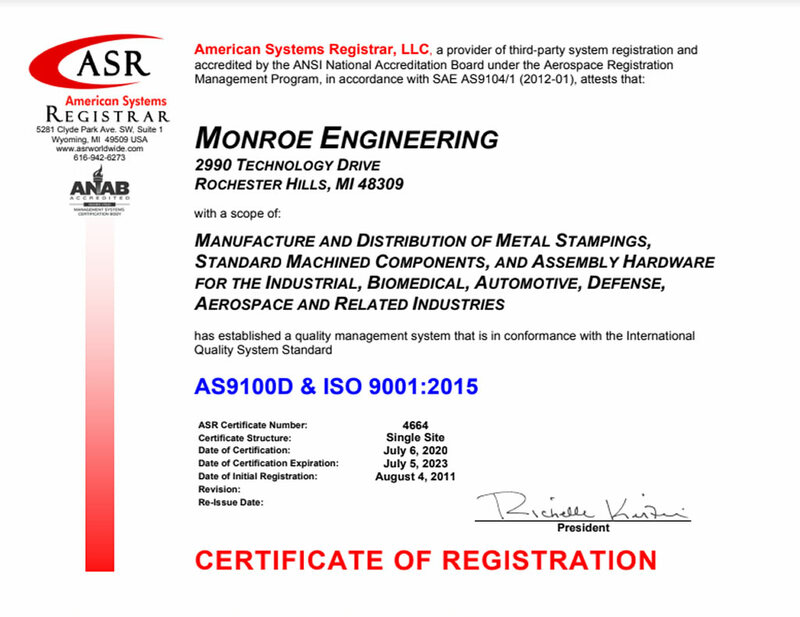 Internal Quality Audits are continuously performed to verify that quality activities and related results comply with planned procedures and to determine the effectiveness of Monroe Quality Systems. Are you looking for In-Stock Products or Custom Manufacturing?